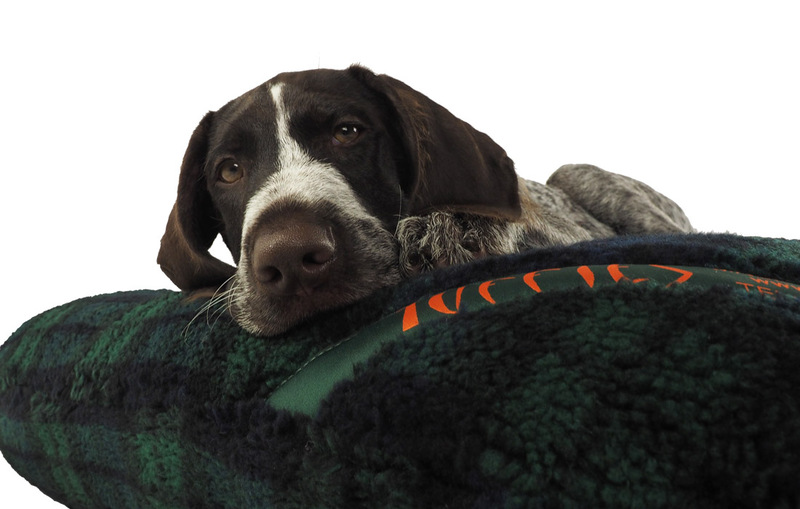 The Fleece lined Tuffie Nest dog beds are developed for the extra pampered pooches, especially the ones that rarely dip their paws in muddy puddles and who demand absolute luxury dog beds. The outer sides and base are made from our strong and sturdy Wipe Clean type of material, but the inside is simply delicious Luxury Fleece both on the sides and as a cover for the waterproof cushion in the bottom. Although these fleece-lined dog beds are not really meant for the mud-puddle loving rough canine, they are in fact totally machine washable: Take the cushion out and turn the "surround" inside out. Place in your washing machine and wash at 40 degrees Celsius. 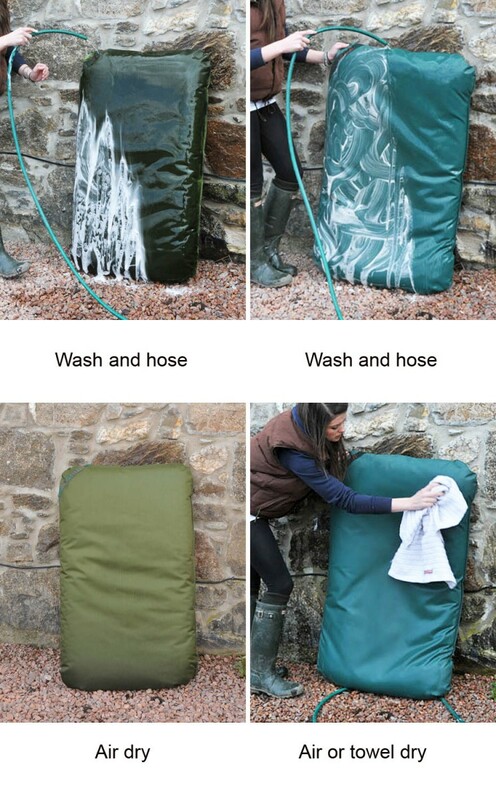 The cushion fleece cover can also go in the machine while the waterproof cushion can be hosed down. It will take a full day to dry out the whole nest if you leave it in a warm place. Click here to see more washing instructions. We advise that the Small nest can be washed in most domestic washing machines, the Medium will fit in a 9Kg domestic machine, but you will probably need to visit your local laundrette to have the Large size washed. As they vaccum clean well, you should not need to wash these dog beds very often. Up to 5Kgs use a Small. 15-30Kgs use a Large. Guidelines only. CHEWABLE? Nothing that you can cut with scissors is chew-proof!! 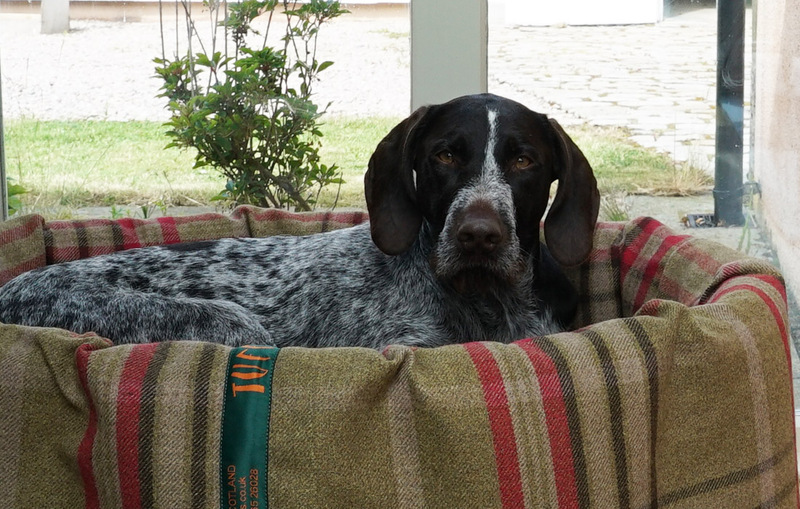 Our beds are made from the most durable material available, but a determined dog will always be able to cause damage. We find that sometimes our delighted customers will tell their friends that Tuffies dog beds are virtually indestructable, but unfortunately nothing is, not even a Tuffie. Tuffies are robust, stay thick and insulating and they last for years, but they are not chew-proof dog beds. HOWEVER, we have of course the Really Tough Tuffie, which is money-back guaranteed chew proof. 15-30kg use a Large. Guidelines Only.